Allotments are being recognised as a catalyst for encouraging sustainability, healthier living and social interaction as well as a resource for local food growing. Research has shown that contact with the natural environment and green space promotes better physical and mental health, and self-esteem. Allotment schemes themselves are typically low-cost compared to the benefits they bring. The Investing for Health (IfH) team in the Western area launched an allotment strategy in 2008 in partnership with key stakeholders. The overall objective was to increase the number of people using allotments and ‘grow your own’ schemes, promoting the wider health and social wellbeing benefits. Funding has been provided to community allotment schemes to develop this programme. The PHA’s Western IfH Partnership invested almost £12,000 to establish Strabane community garden and allotment site, providing local regeneration for the wider community. The scheme is led by Cairde ex-prisoners group, and of the 56 plots, 39 are used by local organisations (9) and residents (30). 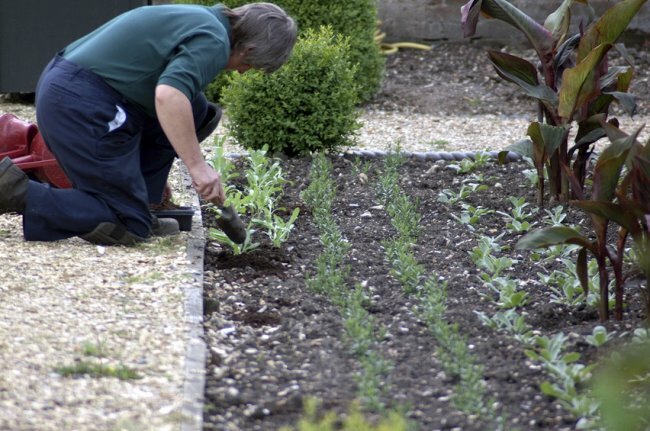 Mental health: a form of ‘horticulture therapy’, improving health and wellbeing, raising self-esteem and developing social skills. Physical activity: digging and shovelling can burn up to 360 calories in 30 minutes. Nutrition: vegetables are rich in nutrients and children involved in growing their own fruit and vegetables are more likely to eat them. Social interaction: providing a focus for communities by promoting inclusion, integration and acceptance. Environment: reducing ‘food miles’ – it is estimated that food consumed each year in the UK has been transported 18 billion miles. Skills: providing hands-on learning to engage and motivate young people and those with learning difficulties and limited qualifications. Economical: growing your own fresh fruit and vegetables saves money. Following initial investment by the PHA, community organisations are expected to be self-sustainable. The PHA is working with local councils in the north-west (including Donegal) to attract up to £1m in additional investment for the allotment concept in the region. The development of allotments is an innovative approach to community engagement. Allotments provide a broad range of benefits to the community and the environment. This is the second year the PHA has funded community allotment schemes with partners in the Western HSCT area. In September 2010, applications were invited from community organisations to develop allotments in the Omagh and Fermanagh areas.